Are government shutdowns a potential haven for pirate radio stations? SWLing Post Bill Patalon sent me this piece from the ARRL stating that amateur radio applications have been on hold at the FCC as most of the agency has been closed in the US government shutdown. It appears the government will reopen now, at least for the next three weeks. Thinking about the closure of the FCC and its effect on licensed operators, also made me think about unlicensed radio operators: a.k.a. pirate radio stations. 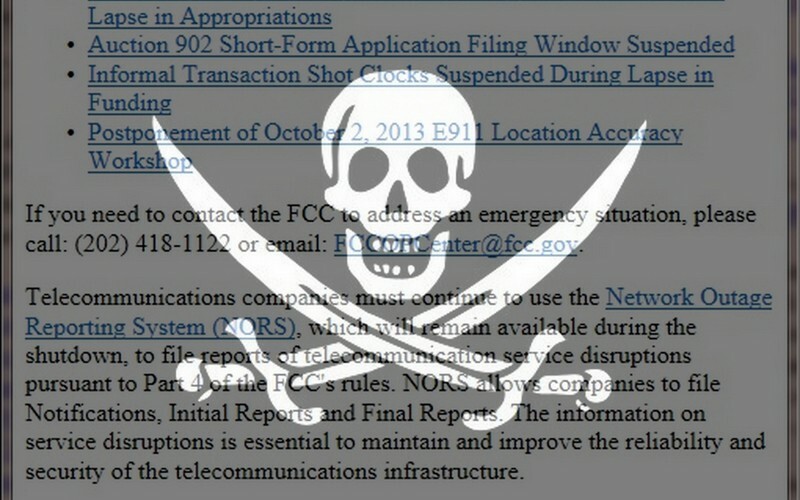 Are government shutdowns a potential broadcast opportunity for pirates that might not otherwise take to the air? I’m curious if anyone noted new shortwave or FM pirate stations during the US government shutdown. Did the respite from FCC enforcement bring anyone out of the woodwork? Please comment! PS: Can you do us a favor? In comments, please stay on topic (radio) and refrain from political arguments. Many of us appreciate the SWLing Post as a refuge from the toxic back-and-forth prevalent on so many other sites. If you would like to engage in political discourse, please check out Reddit. Thank you! This entry was posted in FM, News, Pirate Radio, Shortwave Radio and tagged FCC, Pirate Radio, Shutdown, US Government Shutdown on January 26, 2019 by Thomas. SWLing Post reader, Chris Smolinski of the HF Underground, has shared data he has collected from listener-submitted pirate radio logs prior to and following the US government shutdown. The results are intriguing. Many thanks for collecting, analyzing, and sharing this data, Chris! Readers, if you’re into shortwave pirate radio, the HF Underground is my favorite place to view live pirate radio logs. Check them out! You can create an account to submit your own pirate logs. This entry was posted in News, Pirate Radio, What's On Shortwave and tagged Pirate Radio, Pirates Shutdown, Shortwave Pirates, Shutdown, US Government Shutdown on October 16, 2013 by Thomas. As frustrated as many are over the US government shutdown, it nonetheless offers one unique benefit to the shortwave radio community, and to pirate radio in particular––no FCC enforcement. Pirate radio activity since the shutdown has truly been at a record high, with pirates taking to the airwaves throughout the week, and especially on the weekends. Case in point: this past weekend, the North American “pirate radio grounds” of 6,920-6,970 kHz were packed with pirate radio stations. There were even crowded band conditions; at one point I tweeted that there were no less than three pirates broadcasting simultaneously in just a small chunk of bandwidth on AM. Indeed, there may even have been a fourth that I couldn’t quite detect…An unusual occurrence, to say the least. And with pirate radio’s favorite holiday, Halloween (think War of the Worlds), fast approaching, there’s likely to be more such unusual activity. In the meantime, check out a few of our recent pirate radio recordings. This entry was posted in AM, News, Pirate Radio, Recordings, Shortwave Radio, What's On Shortwave and tagged Pirate Radio, Pirates Shutdown, Shortwave Pirates, Shutdown, US Government Shutdown on October 14, 2013 by Thomas. I noted at least seven pirate radio loggings here in North America on Wednesday, October 1–the first day of the US government shutdown. This is a remarkable number of pirate loggings for a weekday night. 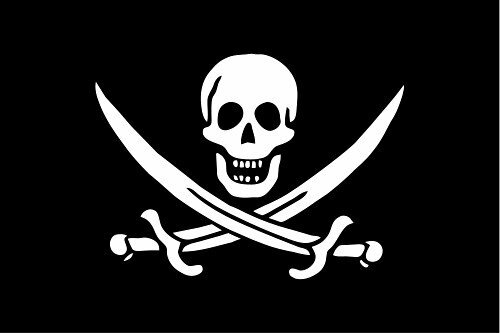 During the US government shutdown, expect extra pirate activity weekday nights between 6920-6970 kHz. Click here to read other items related to the US government shutdown. This entry was posted in News, Pirate Radio, Shortwave Radio, What's On Shortwave and tagged Pirate Radio, Pirates Shutdown, Shortwave Pirates, Shutdown, US Government Shutdown on October 2, 2013 by Thomas.